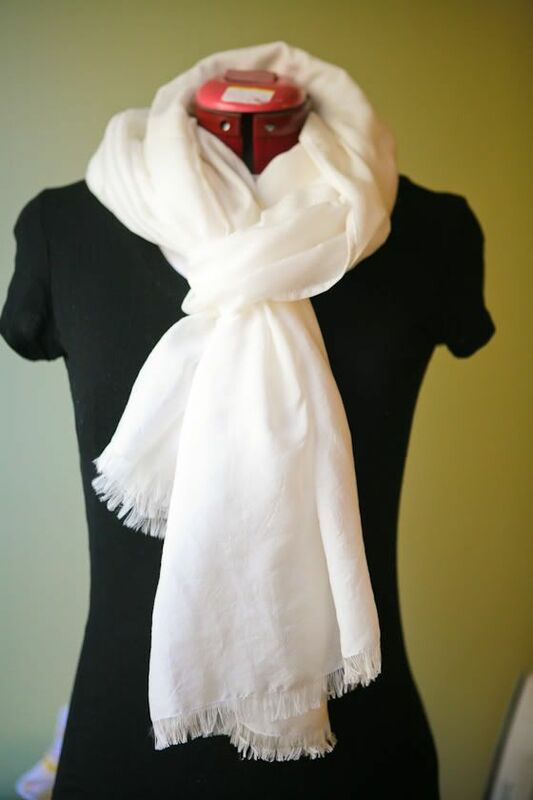 Today is part 1 of my tutorial for making a very professional looking summer scarf. 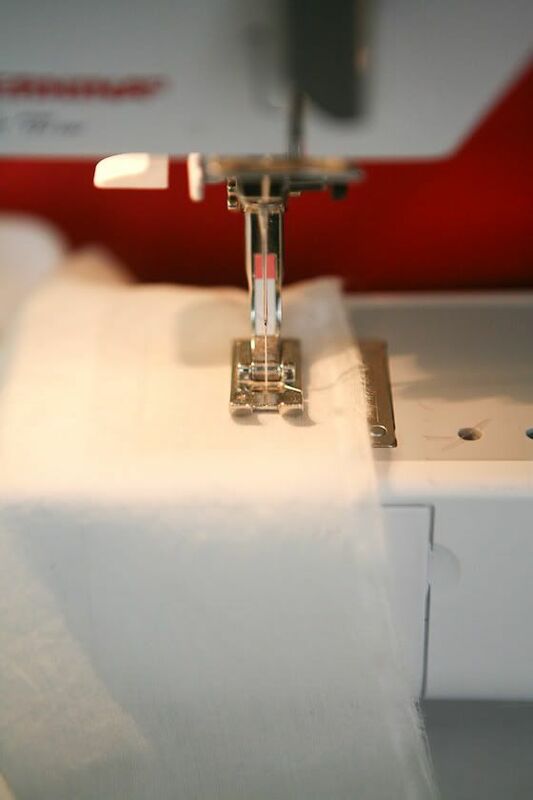 It is one of those things that I love to make because it is easy, cheap, and has big results. 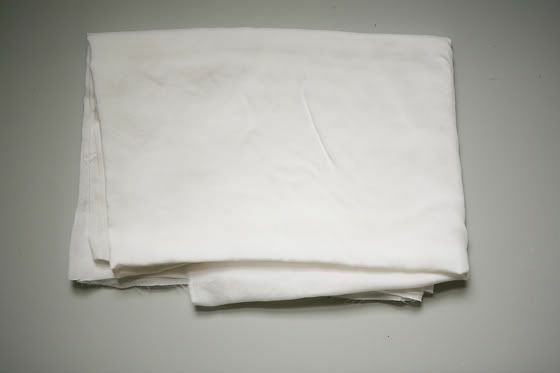 Get a piece of light weight cotton fabric that is about 25″ wide and about 90″ long (this is approximately 21/2 yards of fabric cut in half lengthwise. 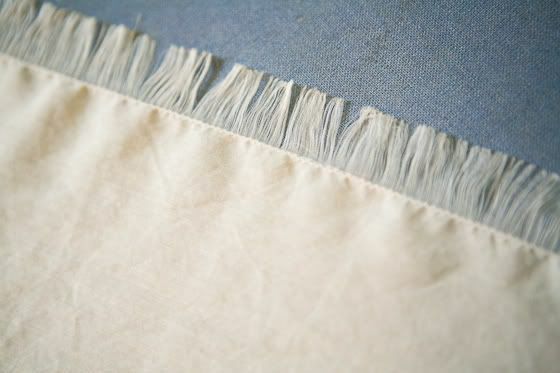 Cut a small snip about 1 inch from each of the skinny ends of the fabric and tear along the grain. This will true your fabric or make it on the grain. This will come in handy when you fray the edges. 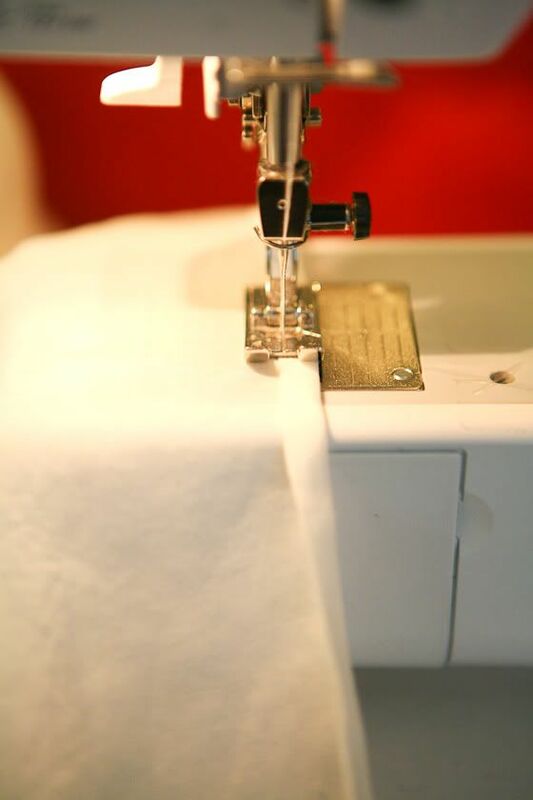 Stitch a line 5/8″ from the edge on both of your short edges. 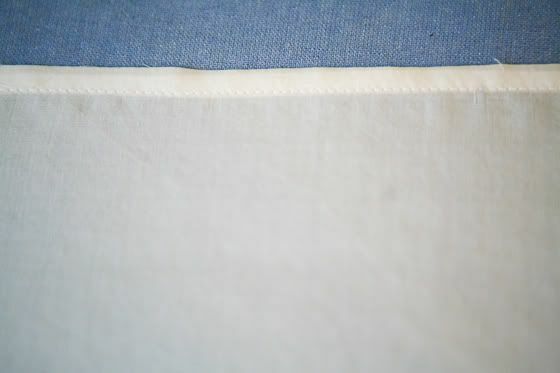 Depending on the weight of your fabric you may need to adjust your tension and/or needle to accomodate for the fabric being so sheer. 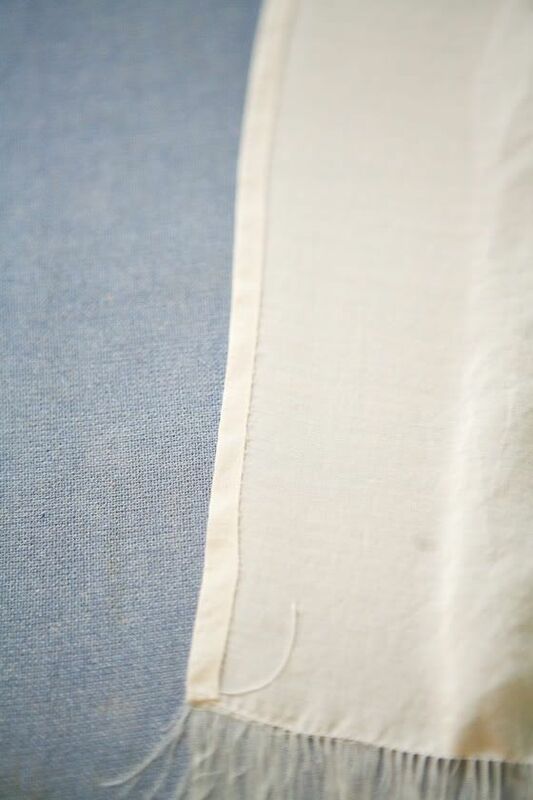 If one of your long edges is a selvage like mine is then your need to cut out a small notch beneith the stitch line. Thread by thread start to pull the lengthwise threads all the way to the the stitch line. This will take awhile, so get in front of a good show. I really think it’s worth it though. I think the fray is what makes it look professional instead of homemade. 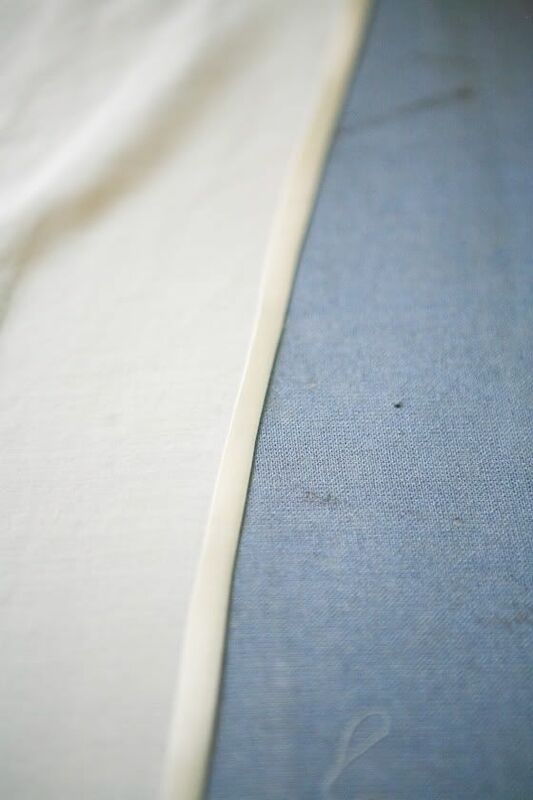 On each of the long edges, turn in 1/4″ and press. Turn it over another 1/4″ and press. 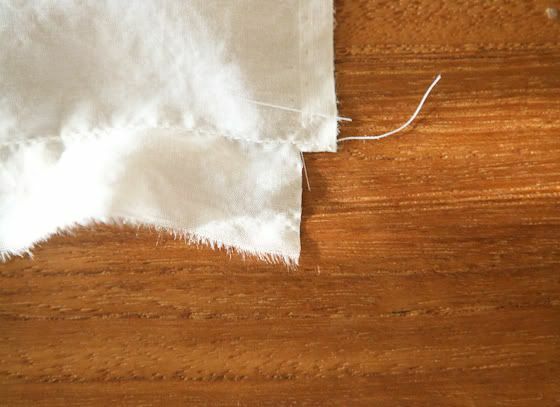 Now stitch the folded fabric down to secure it. Now you are done making the basic spring scarf. Tomorrow I will show you how I hand painted it. I love this! I should try as I love scarfs,can’t wait to see it finished! thanks marilo. you SHOULD try it. i would love to see your version. This is perfect – I wear scarfs all the time and they are weirdly expensive! I can’t wait to see your handpainting! so weirdly expensive right? small amount of fabric and small amount of sewing. i don’t get it. What a great idea. I’m bookmarking this! I love this. 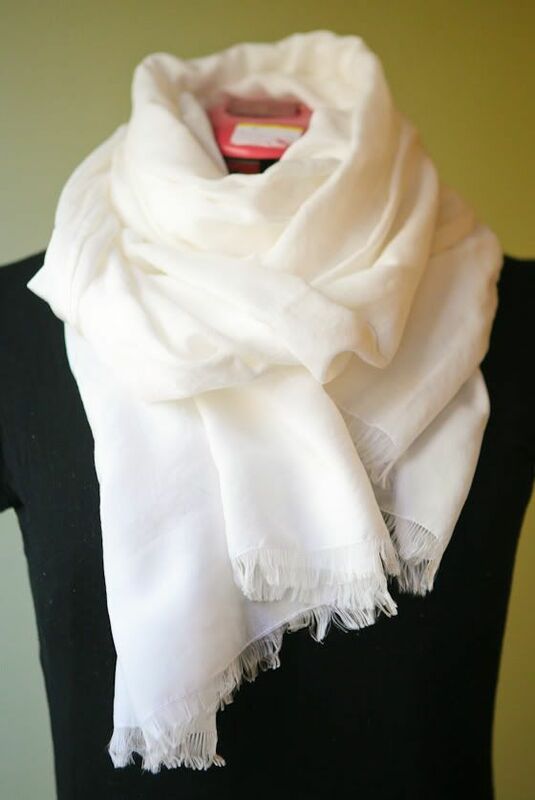 The scarf would make a great present and you can customize the print design. i agree, very easy and a great present.